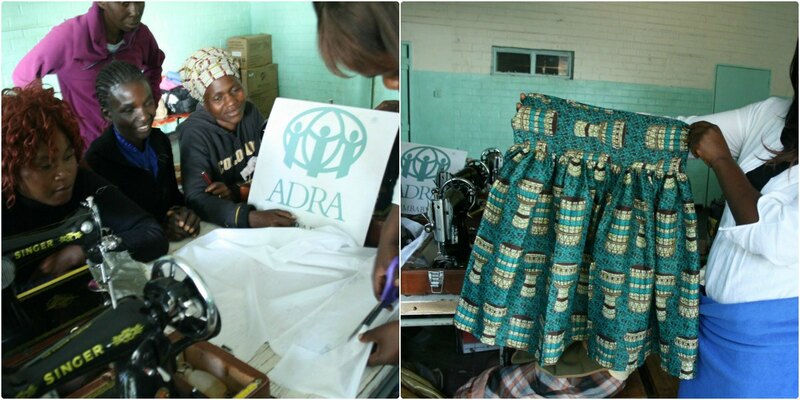 ADRA Zimbabwe | vimbo means fortitude. 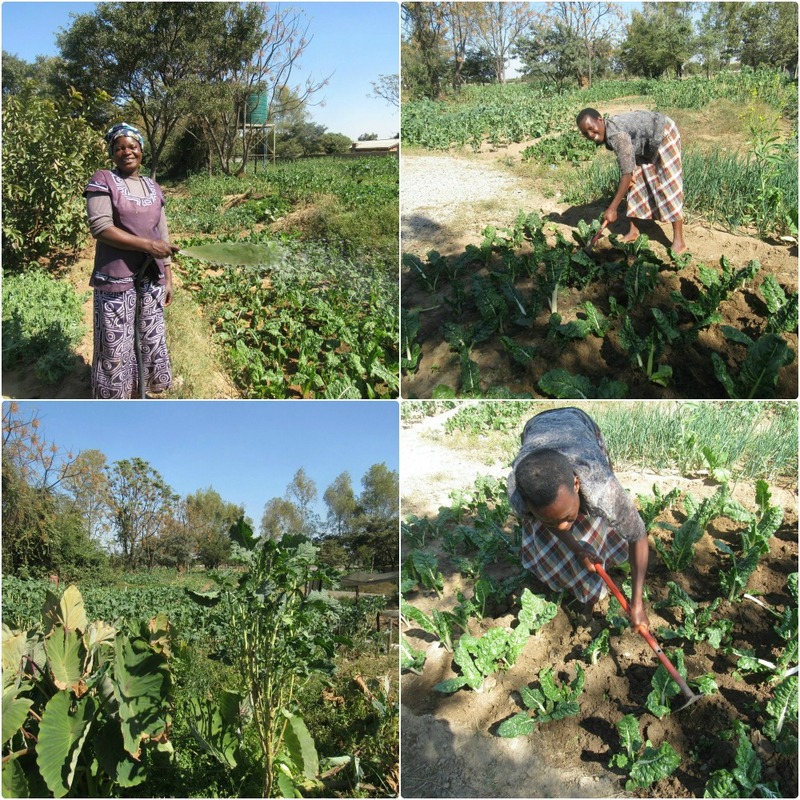 I’ve spent Monday and Tuesday in the “fields” with Esther – she is an ADRA (Adventist Development and Relief Agency) Zimbabwe project manager. To clarify point #3 – the programs I’m focusing on are: a program to provide blankets for orphans, a program that provides medical supplies for clinics, and a program called Beyond Food Aid. Monday morning, Esther told me that we would be spend the next two days “in the field”. 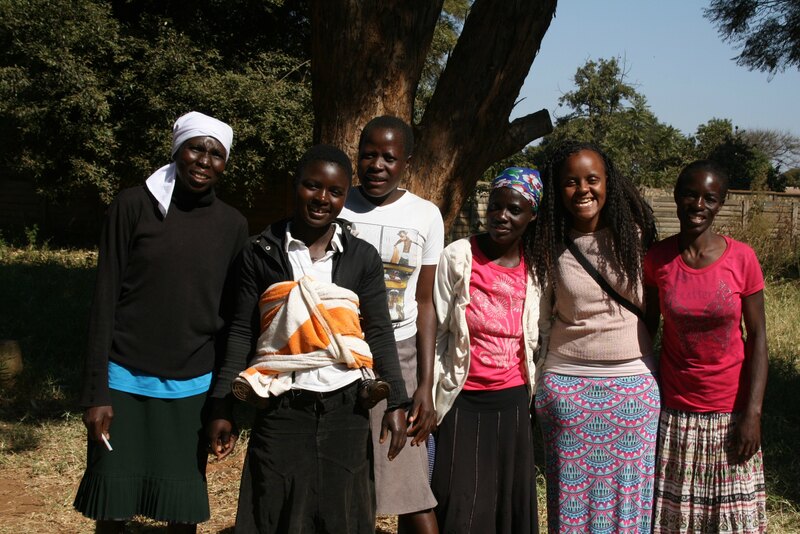 My first few days in Zimbabwe have been…relatively quiet and calm. I would say that up until Monday, I hadn’t really had that much culture shock. I’m staying in a pretty nice part of Harare, and I haven’t seen that much that is different from Miami, FL where I teach. We have people in the US who are homeless or impoverished or begging on the streets of Miami, so while seeing that has saddened my heart, it wasn’t different from home. 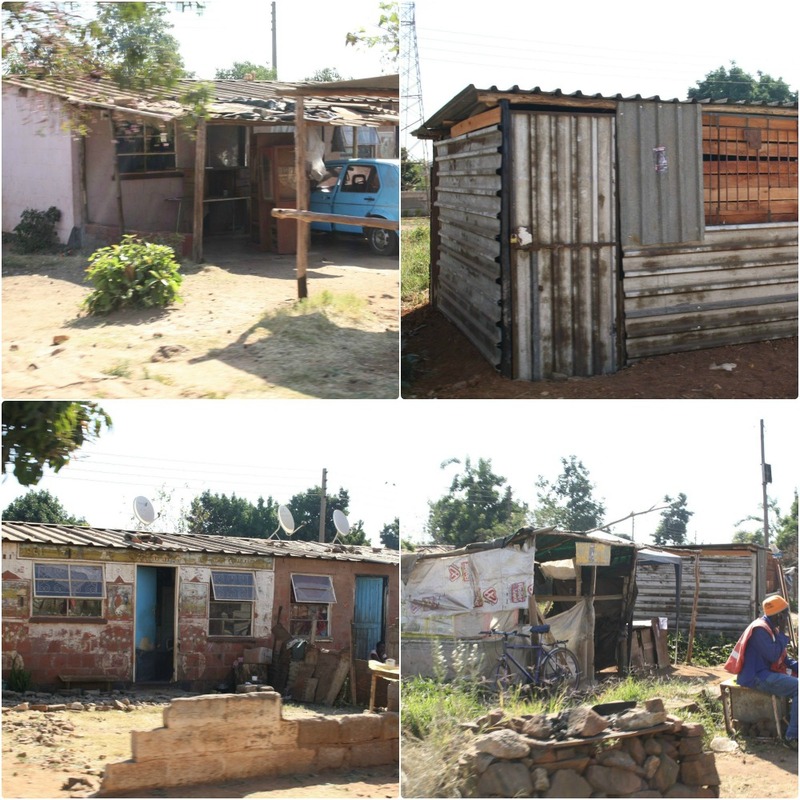 I went to an extremely rough part of town, and I was really shaken by what I had seen. Guys – I was not ready. I didn’t even take that many pictures at first, because I was just so….overwhelmed. It’s one thing to see pictures, here stories, or KNOW things about my home country, Zimbabwe, but it is COMPLETELY different to experience it, taste it, smell it, and see it for myself. Especially since the last time I visited was about 12 years ago. I also met some amazing women, who touched my heart and inspired me with their strength. This woman is the single mother of 3 children, and through the money she makes through Beyond Food Aid, she is able to support her family. She was so friendly and was really proud of the things she had created. Here, she is seen sewing a curtain. 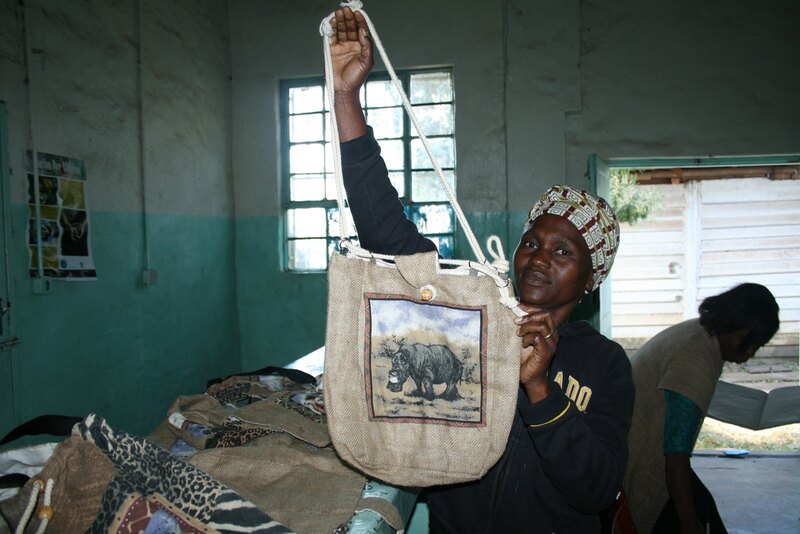 Bags, clothing, candles, and curtains are some of the things these ladies can create! There are 60+ men and women currently in the Beyond Food Aid program, which operates out of several different locations. 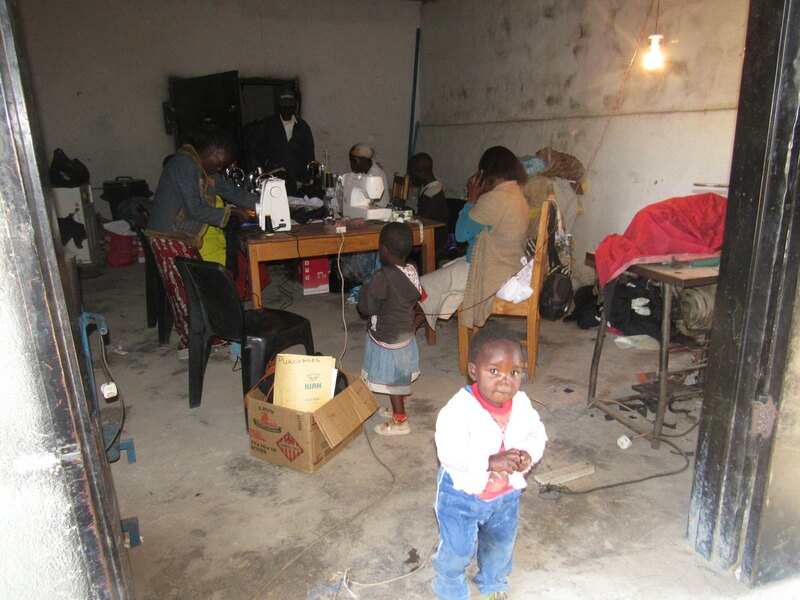 They meet in community centers or just empty rooms like this one. Here is another workshop location, at Epworth near Harare, Zimbabwe. 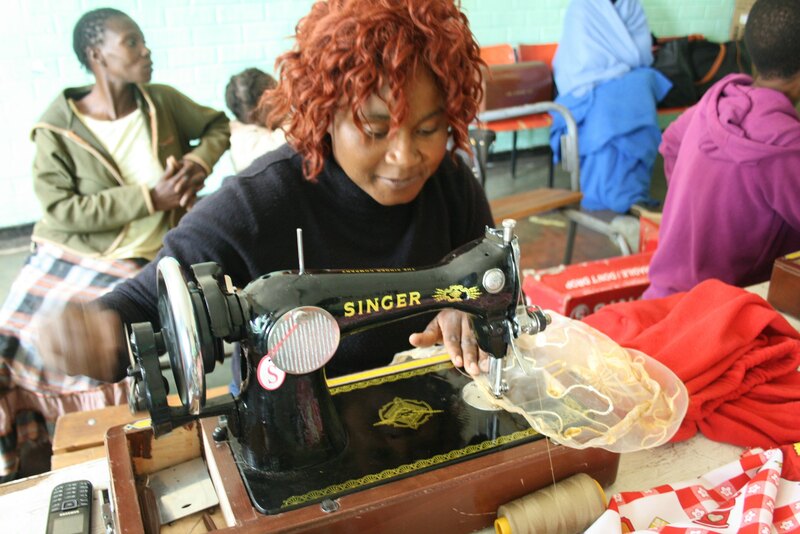 An ADRA Zimbabwe volunteer came on Monday to teach some of the women new sewing techniques to improve their products. Here is the skirt I bought that she sewed for me in less than an hour – – using a hand-operated sewing machine!!! I have to be clear, our first priorities with the $4,700+ we have raised so far is to dig the well for water and rebuild the school. But if you’d like to donate directly to Beyond Food Aid, click here to donate and include in your donation message that you want the money to go to this program, and I guarantee that before I leave the money will go directly to these women I met today and yesterday. 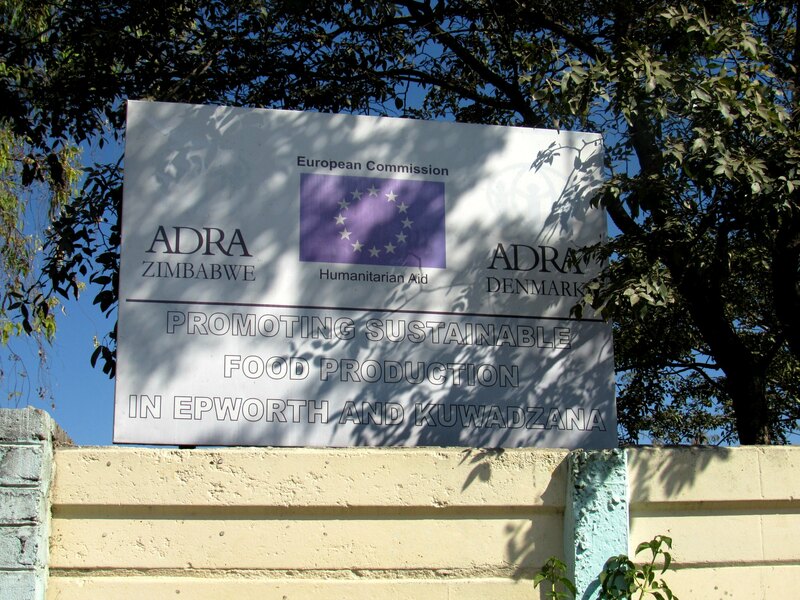 While visiting the Beyond Food Aid group in Epworth today, we were able to see another ADRA Zimbabwe project success – a garden that was originally funded by ADRA Zimbabwe (along with ADRA Denmark and the European Commission on Humanitarian Aid). Three-years later, it is completely self-sustaining! This is so amazing, because I truly believe that best type of humanitarian aid comes when you give people an opportunity to take control of their own future. When you give a motivated person the means to make a brighter future for themselves, there is nothing that can stop them! …but I couldn’t help just feeling so overwhelmed yet inspired, helpless yet hopeful, and saddened yet optimistic by what I’ve seen so far. Pictures can’t capture all the things I’ve seen and heard in the past two days. So yes, I shed a tear or two, after I got back to the ADRA vehicle. It was just a lot to take in. And I haven’t even seen the community where we’re digging the well yet…. (Which apparently is in an even more impoverished area). Needless to say, it’s become clear to me that I’m not here to save the world – I’m here to listen, learn, show the love to God to every man, woman, and child I meet, and just to take it all in.